The third Sunday in January is World Religion Day. This observance is aimed to promote interfaith understanding and harmony. 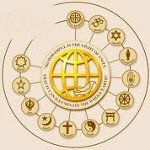 World Religion Day was established by the National Spiritual Assembly of the Baha'is in the United States in 1950. Although World Religion Day emerged in the USA, it is observed on the international level by people of every confession. Baha'i is the form of faith that emerged in the 19th-century Persia. It's three main disciplines are unity of God, religion and humankind. They believe, that all religions stem from single god, that is why everyone is equal and has the same rights and duties. This philosophy became the base for creation of World Religion Day, which calls all members in the world to recognize all other religions. World Religion Day is celebrated by many organizations that hold different interfaith events, like talks and lectures. People are encouraged to listen to the people of other faiths to understand the similarities, that different religions have.